OnePlus rescheduled its OnePlus 6T smartphone announcement event because Apple recently announced it’s hosting an event on the same day. OnePlus’ launch event is now taking place one day earlier, on October 29, at the same venue as originally planned. The company says it will cover the costs of travel changes and tickets for those who aren’t able to make the new date. The Mac maker this week announced its own Fall event to be held on October 30, and now OnePlus has rescheduled its event as a result. The OnePlus event is happening just one day earlier, on October 29, at the original location in New York City. OnePlus founder Pete Lau announced the change in a OnePlus community post, and the company also announced the change over Twitter. OnePlusOnePlus CEO Pete Lau at the launch event of the OnePlus 5 in India. 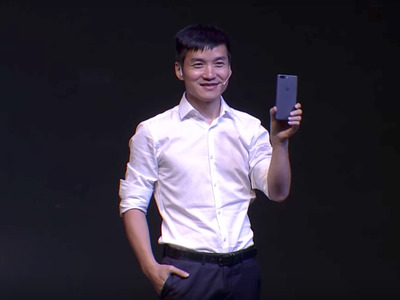 Those who were planning to attend the OnePlus event will have their ticket costs covered by the company if they can’t make it at the new date, Lau said, and he welcomes those who can make it to the event a day earlier than planned. And for those who made travel arrangements, Lau said the company would even cover the cost of flight and hotel changes. It’s an incredibly unfortunate situation for OnePlus, but the company is seemingly dealing with its situation well and communicating with its fans. During Apple’s October 30 event, we expect to hear about new iPad and Mac news, so it’s not the same kind of product as OnePlus’ smartphone. Still, all of the tech media’s eyes will be on Apple that day, which would have absolutely and completely stolen OnePlus’ thunder.